Now that marijuana is legal, people can expect to see advertising for it – but it won’t be flashy. The federal Cannabis Act strictly limits the marketing of pot. Marijuana products cannot contain anything that could appeal to minors. Real or fictional characters, animals and testimonials are a few of things off limits for marijuana ads. "Cannabis is the most restricted product in terms of marketing," said Jason Aebig, a partner at Creative Fire. Aebig’s company is creating the advertisements for two Saskatchewan marijuana companies. He said the strict rules have caused him to go back to the drawing board several times. “We developed an ad which had the retailer’s logo on it, and nothing more than a picture of a person who seemed to be enjoying himself or relaxing. He wasn’t consuming cannabis in the photo. There was no cannabis in the photo at all. But that was seen to be depicting a feeling tied to the retailer, and therefore offside,” Aebig said. 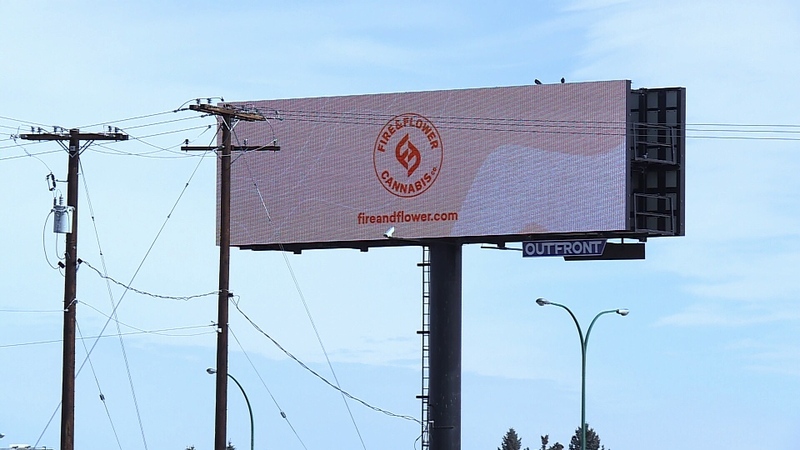 A billboard on Idylwyd Drive is one of the first legal marijuana advertisements in Saskatoon. It’s plain, featuring a North Battleford marijuana company’s logo and website – essentially all advertisers can do, according to Aebig. “The rules are extremely restrictive and I think we can liken them most to cigarette manufacturing,” retail expert Doug Stephens told CTV’s Your Morning. Both Stephens and Aebig expect the rules around marijuana to loosen, just as alcohol advertising regulations have. "For now, I think it's fair everyone's playing it safe and cautious. But in time, I would predict that there'll be a loosening of these guidelines,” Aebig said.